From the co-author of the best-selling Running Made Easy, with a foreword by running legend Kathrine Switzer. Lisa Jackson is a surprising cheerleader for the joys of running. Formerly a committed fitness-phobe, she became a marathon runner at 31, and ran her first 56-mile ultramarathon aged 41. And unlike many runners, Lisa’s not afraid to finish last – in fact, she’s done so in 20 of the 90-plus marathons she’s completed so far. 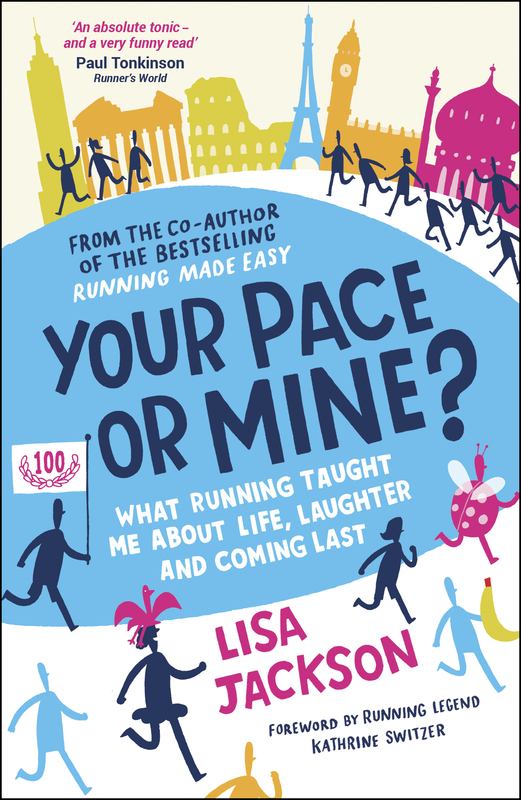 But this isn’t just Lisa’s story, it’s also that of the extraordinary people she’s met along the way – tutu-clad fun-runners, octogenarians, 250-mile ultrarunners – whose tales of loss and laughter are sure to inspire you just as much as they’ve inspired her. This book is for anyone who longs to experience the sense of connection and achievement that running has to offer, whether you’re a nervous novice or a seasoned marathoner dreaming of doing an ultra. An account of the triumph of tenacity over a lack of talent, Your Pace or Mine? is proof that running really isn’t about the time you do, but the time you have! 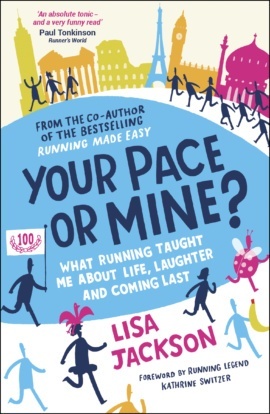 Lisa Jackson is the co-author of Britain’s best-selling beginner’s running book, Running Made Easy (a position it’s held for over ten years) and author of Adore Yourself Slim. A Contributing Editor to Women's Running, the UK’s fastest-growing women’s running magazine, Lisa also writes for Men’s Running and Sportsister.com, and has written for The Independent, Runner’s World, Triathlete’s World, Zest and Cosmopolitan. Lisa is based in London, and is a veteran of over 80 marathons and two 56-mile ultramarathons – but often comes last! 'An inspiring book, especially for anyone who’s thinking about running for the first time'.